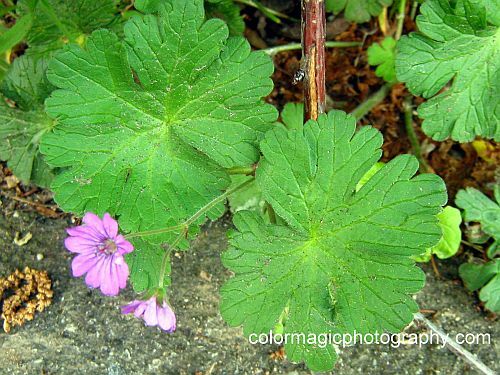 Geranium molle, also known as Dovesfoot Geranium, is a small, common weed, on average 5–30 centimeters (2.0–12 in) tall. Dovesfoot Geranium grows on disturbed soils, on open areas, dry meadows, lawns and gardens and forms a groundcover among grasses. 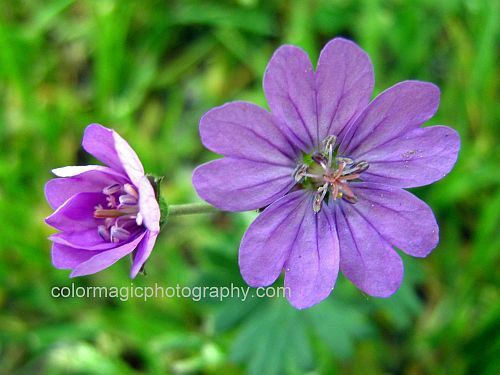 Geranium molle blooms from April to September producing small (8-12 mm), pinkish-purple flowers. The flowers have 5 petals divided into 2 lobes and they come in pairs at the end of the flower stem. The leaves are palmate, rounded and hairy. 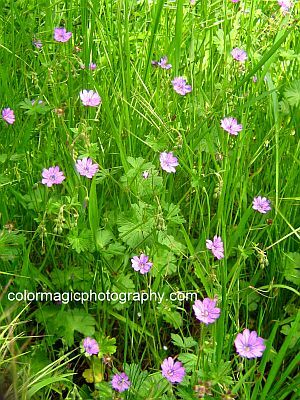 Another pretty hardy geranium, often used as groundcover, is the Cranesbill geranium-Geranium macrorrhizum. I planted some last year.